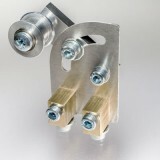 The motionco Idler Pulley is designed principally as a back idler, for use on the reverse (smooth) side of a timing belt. 1. to provide appropriate tension on the belt without the need to adjust the position of either the drive or the driven pulley. 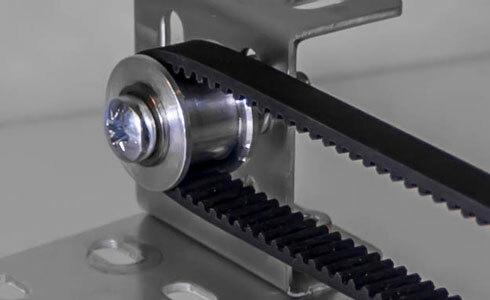 2.	to route the belt so that there is adequate wrap-round (tooth engagement) on a timing pulley. 3. to act as a tracking guide when used adjacent to an unflanged pulley. Aluminium body with integral side flanges to constrain belt side movement. 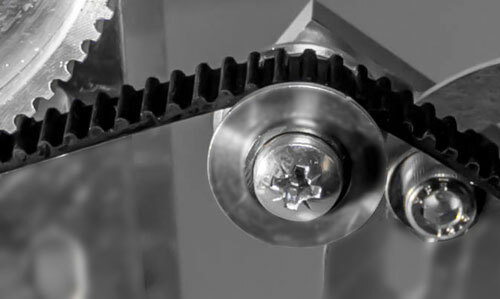 Twin roller bearings, one at each end of the bore, to provide stable location and minimal rotational resistance. Robust M5 mounting bolt, onto which inner bearing races are clamped, to simplify installation into a belt drive arrangement. An M5 nut and washer are also included. 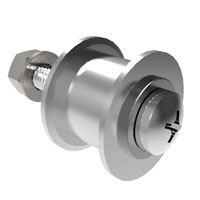 Installation into a slotted aperture or onto a moveable arm will give tensioning adjustment facility. 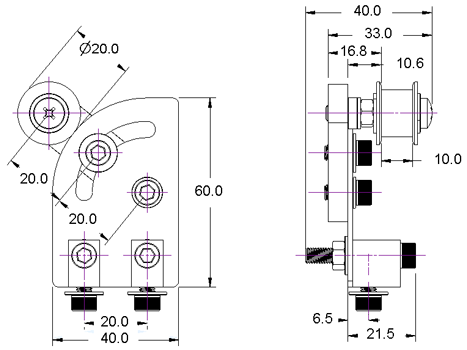 For Idler Pulley incorporated into an adjustable tensioning mechanism, see below. This motionco belt tensioning device features the Idler Pulley above attached to an extremely versatile and easily adjustable mounting device. Well proven motionco Idler Pulley, as detailed above. 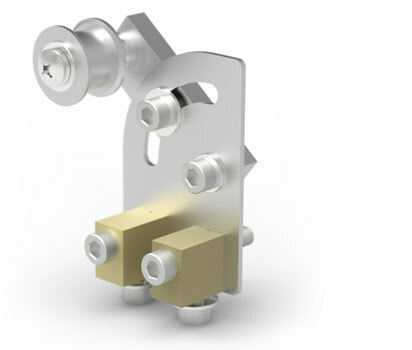 Robust Mounting Bracket with simply useable adjustment mechanism. 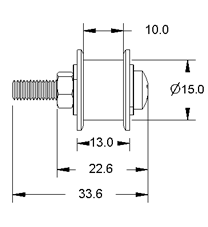 Attachment to belt drive structure by twin M5 bolts, with parallel or perpendicular mounting options. Easily reconfigured assembly for alternative tracking positions and tensioning geometry. Fully compatible with Meckit® Construction System. 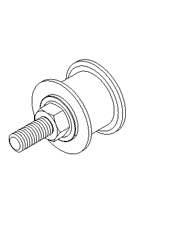 Idler Pulley, 20mm dia, for belt widths up to 9mm ..
Idler Pulley with Adjustable Mounting Bracket, 20mm dia, for belt widths up to 9mm ..